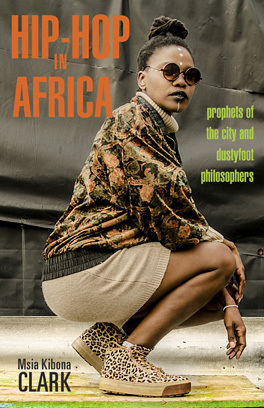 Current scholarship has not been able to keep up with on the ground mobilizing around Black women’s lives on the African continent or in the African Diaspora. Grassroots movements have increasingly emerged around ending gender-based violence (GBV), confronting sexual harassment, addressing female victims of police violence, challenging social & structural violence against queer women, and ending female genital cutting and other harmful practices. Although African feminist activism has evolved tremendously post-independence, there remains a gap in literature on feminist activism in the digital public sphere. In recent years, on social media platforms, hashtags like #SayHerName, #JusticeForLiz, #BlackGirlMagic, #WomensMarchUG, #BringBackOurGirls, #TheTotalShutdown, #LifeInLeggings have indexed online conversations around social movements happening on the ground. These movements are interconnected and framed in very similar ways. These movements are often framed around the impacts of patriarchal systems, structural racism, and the devaluing of African women. We are seeking contributions from scholars and activists across Africa and the African Diaspora that will contribute to current conversations around African women’s bodies in Africa and in the African Diaspora. We encourage a diverse representation from Africa and the African Diaspora, this includes Latin America, the Caribbean, and Europe. We look for scholarly essays, poems, and creative writing submissions that contribute to African and Black feminist thought by building on existing frameworks, while also using those frameworks to help analyze contemporary movements being carried out or led by African (queer) women. We are also seeking contributions that examine how the Black diaspora has utilized digital tools to facilitate activism in social movements, as well as the linkages in transnational activist work and the ways in which activists in the Black diaspora build linkages, and develop tools for activism and facilitate activism in the era of new media.